thank you! this item was delivered quickly and was in very good condition. Great Value. Not just a lot of pretty pictures-the text is illuminating too! I bought this book when it first came out, and it was a real revealation to me. 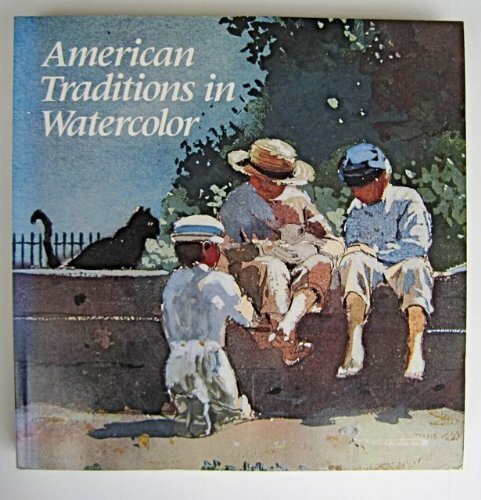 Water color wasn't really taught in American art schools at the time, and this book was my first guide to the wonderful adventure of watercolor painting. I'm reviewing the newer edition, which has the same great text but has added more full-color illustrations. The pictures are great, but the text is what makes this book outstanding among the many watercolor books currently on the market. As the title suggests, the text explores and explains the many facets of watercolor as an art form. The illustrations support the text by showing well-chosen examples of the great variety possible with this beautiful and intriguing medium. Many books on watercolor offer lessons in a particular method or painting style, or focus on one style of painting (usually the author's). This one covers diferent ground entirely. Instruction books can be excellent, but if you are ready for more depth, this could be the book you need. It's true there is a typical section on materials and basic techniques, and there are suggested exercises at the end of the chapters. These are fine in themselves, but other books can give you that. 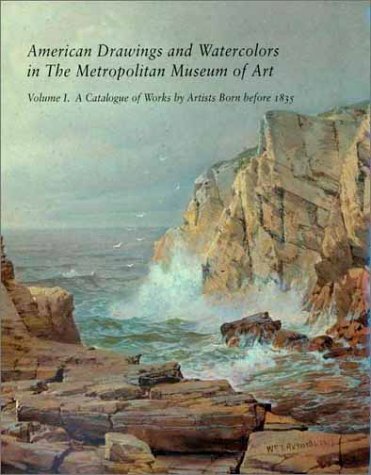 What makes this book special is the author's wide knowledge of painting styles, and his careful avoidance of favoritism toward particular styles or artists.If you are ready to read this with an open mind, you may see the merits of painting styles that you thought you didn't like. This certainly was the case for me! Who would benefit from this book? It would be useful to a complete beginner, if he or she is very disciplined, ready to work, and above all ready to READ a though-provoking non-simplisitic book. Non-painters who admire watercolor and would like to learn more about its history will probably enjoy a browse through the text. But I think it is most helpful to intermediate painters who are beyond the intiial struggle to master the basics of watercolor, and are ready to deepen their understanding of this wonderful art form. Le Claire has contributed a lot to watercolor painting in this book loaded with illustrationsof expressionim,experimentation in the media it inspires to do watercolors ,This is surprisng since it is published by the American Artist (for many years since I have first seen the magazine has published little of advanced watercolor painting) But the book doesn't limit itself to transparent watercolor rules.Such asNo embossing no cutting ,no ink,nothing but pure color that maybe started by pencil line.If a painter hasn't advanced from that rule ,then he isn't a painter of the 20th century to my mind.Too often watercolor books are promotions of a watercolorist's technique, many of theseartist are hampered by poor formal ability: line ,color,shape, etc.Le claire has some ability so the book has authority. It is a book that is well worth the modest price. 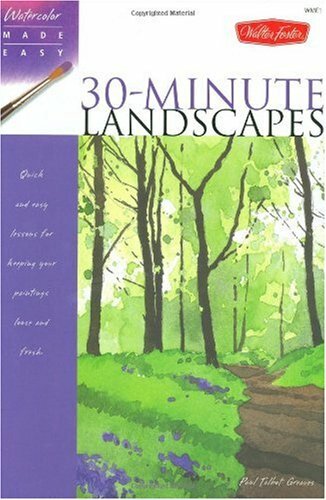 This is a wonderful book with plenty of step by step exercises.Being a professional watercolor artist, I found the book a wonderful way to practice, learn even more and to encourage me to paint daily in someone elses style.I tend to box myself in, so often use books to increase my comfort zone. This is a great book with some lovely paintings to do yourself.I think it works for all levels of painters, unless you are someone like VanGough or Monet or... well you get my drift! As a self taught artist I finally learned how soft edges can create dramatic light and prevent flattening silhouettes. It also teaches how to create transparency. 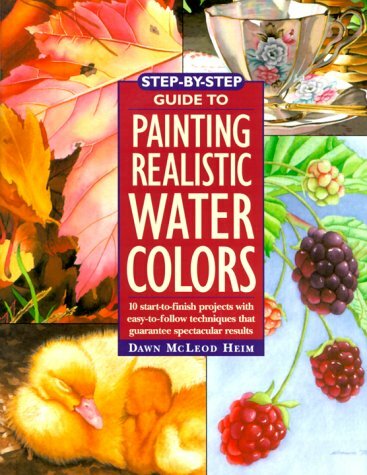 This book helps me to improve painting water and its reflections. Every lesson is beautifully illustrated. This book even has practical tips on the business of art. A must have for every self taught artist. I am a graphic artist who is constantly trying to be a better fine artist. I really enjoyed the book, bought it for a friend and could hardly bear to pass it on. I have taught art for years and still learned from it. The author really knows his stuff. Good value for money and useful as reference when teaching. Aimed at adults, but easily understood. The example paintings in this book (such as on the cover) are the drool-over sort that you want to paint but can't--or can but don't. The author lets you in on secrets; how to paint translucence, using a banana and a fictious cellophane screen. Then you move on to copy an exercise of those translucent shopping bags from trendy little boutiques. After that, you will have little problem rendering translucent windows, bags and even diaphanous material over skin. The book is very useful if you really don't know anything about watercolor. It covers the fundamentals and basics of watercolor and the exercises are very good! But you need some prior knowledge in drawing for better use of the exercises. The instructions are very easy to follow and I learned a lot. Great book! I am shocked this book is rated as it is: I decided to occupy a medical leave from surgery with teaching myself the fundamentals of watercolors, and bought this book. It has proven to be a colossal waste of time, as I do not believe this book to be intended for people without a prior knowledge of painting. My infuriation began with the subject of trees while performing what should have been a simple wash exercise. Several times the author simply instructs me to "Paint in a tree." IF I KNEW HOW TO PAINT A TREE I NEEDN'T HAVE BOUGHT THE BOOK! Am I wrong to assume I am the only person that wasn't born with an inherent know-how in terms of tree painting?! Step 1: Paint. This is the flawed logic I am repeatedly met with in nearly every exercise! Another error occurs on Page 38 when the step explains not to paint the barn in the area of the fenceposts, when the prior stop had already instructed to paint the entire barn. Page 40: I am told to "stroke-in". What does that mean? How long should my strokes be and is there a particular method that I am supposed to follow? The author is using artist's jargon that a beginner obviously wouldn't know. On page 46, step 4 says "with white area still wet...." despite the fact that step 3 had instructed me to use a hair dryer to completely dry my painting.Page 46 also instructs me to "slip in the fluid". Another use of vague jargon that a lost beginner cannot follow. I am finally writing this review after becoming infuriated with the exercise of an autumn farm scene on page 104. To start with, the sketch is too small. But this might not even matter, as the sketch in the remainder of the painting ISN'T EVEN THE SAME ONE. The one used in subsequent steps offers a more 3-D rendition of the barn, while the one we are instructed to sketch does not. Here is where I noticed that often, the diagrams do not at all match up to the steps listed beside them. In fact I'd venture as far as saying that the pictures make the instructions even more convoluted rather than offering a clearer view of the assigment. Page 104 is also extremely vague in terms of paint placement. It will say "drop in color" with very little indication of exactly where, and exactly how much. At one pointit tells me to "drop in color" to the left of the water. What it didn't say is that I was only supposed to do one band (infuriatingly- of indeterminate width)along the top and then to increase my value as I progressed to the bottom of the canvas. I am done. I had wanted to give the entire book a solid attempt despite my bad first impression, but this final exercise has taght me nothing except that I have bought the wrong book and have wasted too much time on it. If you have prior exerience, this book might suit you just fine. if you are like me and are a first-timer, do yourself a favor and buy a book from an author that is much clear in instructing. After reading all the wonderful reviews of this book, I decided to buy it for my mom as a birthday gift.I also am rounding up all the supplies she will need to get started.The book seems good (I have read most of it trying to assess all the supplies I will need).There is a supply list in the beginning of the book, but after reading all the lessons, I found an item or two that that was not included, and, I have found that some of the items on the supply list will not be used.I understand that the assumption is that eventually one will move on and will most likely need those items.I only wish that there was a "shopping list" of items needed to complete these lessons. A most helpful instruction book! 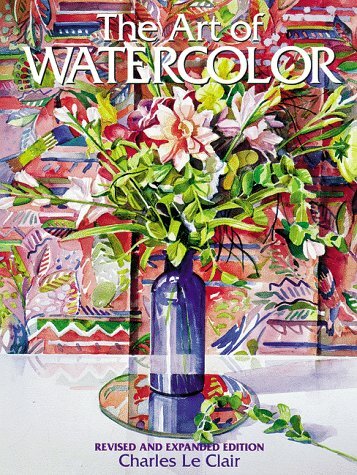 This is a great help for both amateur and professional watercolorists. I am proud to have it in my library now. Anna Marie Fritz at [...]. From one of America's favorite artists comes one of the most popular watercolor books ever written. Drawing upon a lifetime of perfecting the craft he loves, Pike provides artists at all levels of expertise with information on everything from choosing a brush to producing a variety of washes. Abundantly illustrated with 166 paintings. well packed - however this book has a bit yellowish pages, the soft cover torn both sides, while author and product are good for watercolorist learners. I am happy to have added this book to my collection of art books. I really like the way the author writes, the book is very readable. Although the book was written some time ago, I found the information completely pertinent for today. There is a mixture of color and black and white plates in the book, I find this adds to the character of the book. There is loads of valuable information for the new, or experienced watercolor painter. Very helpful for me.I am an amateur painter, needed extra guidance even though I have been painting for a number of years. Good discussion on opaque and transparent colors, how to get to a goal, and so many examples. 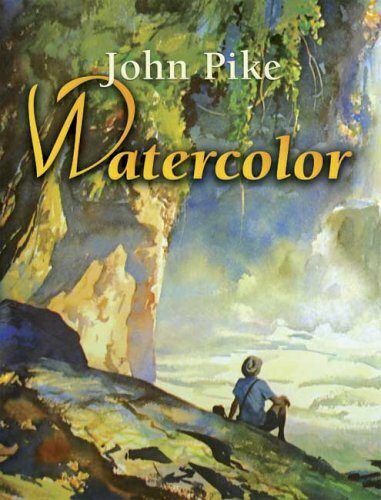 I bought the book based on the cover I have no where near the watercolor skill as John Pike had. But this book is rather dated from the 70s and has paintings reproduced in black and white! I'm not sure how much you can learn from Black and White paintings that are suppose to be in color. I've now waited over a month for this item.I still have not received it and it's been the worst experience ever in purchasing a product from Amazon!How can I write a review when I've never seen the product. Beautiful book and very helpful.I especially like the fact that the author uses different artists and different styles along with the hints.Great investment for the beginner. Learn to paint in watercolor--at any age! Everyone loves watercolors. They’re easy to carry around and they don’t call for complicated special materials. But getting started with watercolors can be daunting. What paper, paint, and brushes do you really need? How do you mix colors without getting mud? How do you create those clear, glowing tones? Wonderful World of Watercolor guides beginners through these basics and on to the rewards of painting beautiful watercolors. 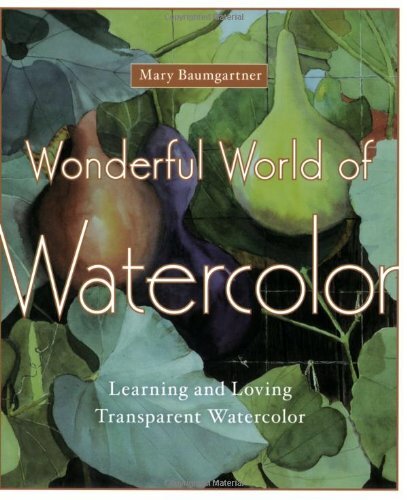 Author Mary Baumgartner has more than twenty-five years of experience painting and exhibiting her work in national shows, teaching watercolor, and conducting watercolor workshops. Now she shares her down-to-earth approach with readers everywhere--with simple instructions on everything from choosing materials to creating a palette, from color values to capturing favorite subjects like pets, fruits and vegetables, skies and clouds, and more. Baumgartner’s warm, reassuring tone is perfect for neophyte artists and anyone who needs a bit of extra support to get started. Many advanced students are still striving to become professionals under her leadership. In addition the paintings shown in the book seem over worked and lacking in spontaneity. I wish I had previewed the book before buying. I found this an excellent book, probably of greater interest to someone who has been painting with watercolor for a while. There are so many different ideas for mixing colors which I found very exciting and which gave a whole new interest to my painting and the depth of color that can be obtained. This a well rounded "how to" watercolor book.It is great for the beginner painter through the intermediate artist.The sections on negative painting; controling edges;lifting paint; and using shadows were particularly well covered.I would recommend this book to anyone who would like this reference material handy.The index is excellent and the examples were good too. Book Reviewed by Marie L. Meegan, Salem, Massachusetts. If I were to pick only one book as a reference for mastering the art and science of watercolor painting, it would be Mary Baumgartner's Wonderful World of Watercolor.Besides being a technical masterpiece, it is a beautiful book, having many exquisite examples of watercolor painting.The author imparts her joy in the subject matter, as well as her delight in teaching - a winning combination. The first section is devoted to color: choosing color, mixing color, and considering its warmth, or coolness, color values, transparency or opacity. The author provides sample charts for guidance, and in fact, insists her own students paint these charts so color mixing will not be a hit or miss experience. There are chapters on supplies, work space and composition.Baumgartner carefully explains all the essentials for success, such as negative space, glazing, and lifting paint, to name a few.Drawing skills are handled in detail.Special advice for painting metallic objects, glass, water droplets, skies, clouds, foliage, and fur are covered in a chapter entitled "The Hard Stuff - Made Easy." She writes about using artistic license to arrange a painting to enhance the qualities of the scene she might be composing.She guarantees a clear center of interest, and paints with the light source in mind.She photographs scenes, objects, and people for future paintings.The author, while not lacking in intuitiveness, is convinced one must do the work to create paintings that captivate the viewer.In the chapter "Telling a Story," Baumgartner quotes Edgar Degas as having said, "My art is in no way spontaneous - it is entirely contrived. 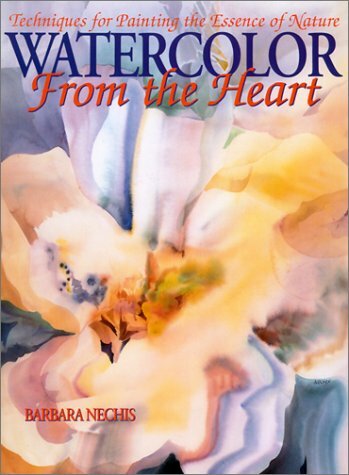 "If you paint or teach watercolor painting you must have this book. This is the perfect jump start for beginners who want to tackle the watercolor medium with speed and success. It presents an easy-to-understand approach that quickly familiarizes aspiring artists with basic materials, tools and techniques for getting started. Illustrations, exercises and complete step-by-step demos show how to achieve fast results by creating sketches with drawing media as well as watercolor. With this easy "sketching" approach, artists will learn how to plan successful paintings using thumbnail sketches, value sketches, color sketches, sideline sketches, composition adjustments and experiments. 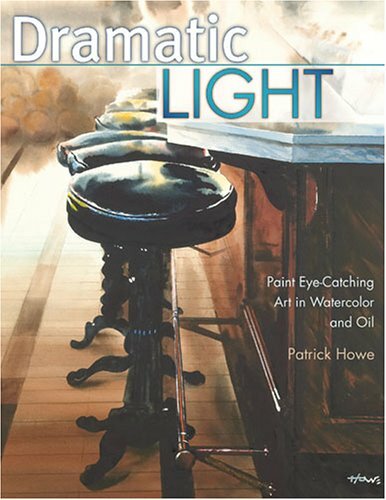 Excellent book.Very informative, even for someone who has been painting for awhile.I am going to use the examples and the explanations as the basis for a watercolor class. As a long time painter and teacher, I use many books as reference for my students. This is one of the best for starting off right in water media and I use it as the primary text in my college class. 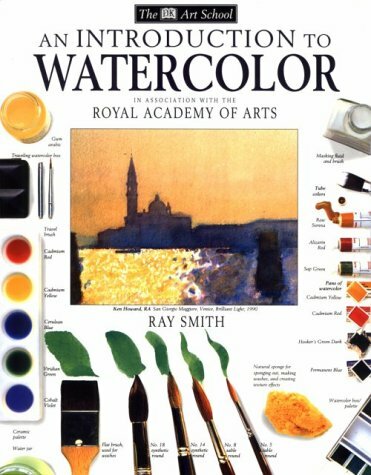 It is a classic methodical approach to the basics of watercolor painting, with easy to follow yet challenging exercises. Please note - I advise all my painting students to first master basic drawing skills which are so helpful for success in painting. I have way too many watercolor books (buying WC books is addictive, although not as addictive as buying new colors).This book is one of my absolute favorites, and one I find myself returning to over and over.I am a very big fan of the entire "Materials and Techniques for Today's Artists" series, and I own their Drawing Book, Pen & Ink Book, Pastel Book, Acrylic Book, and Oil Painting Book. All of the books in this series seem to follow the same basic format.The first third or so of the book cover materials in great detail.The emphasis is on the types of materials that you need, options available, and characteristics of specific brand names.If you're a beginning watercolorist lost among all of the brands of brushes, paints, and paper available then this will be a great resource.The middle 3rd of the book focuses on general techniques, followed by a series of discussions related to specific subject matter.The final third focuses on mixed media - and in my opinion this is the area where Dewey's books really shine.I think he's a great pastelist and uses pastels and watercolors together to do some amazing stuff. I view this is a great book for folks that know at least a little bit about watercolor painting and are interested in getting into more depth and detail.I probably wouldn't recommend the book for absolute beginners, because I think absolute beginners would find the book a little overwhelming.Some initial questions that absolute beginners might ask (like "What colors should I have on a basic palette") aren't really addressed until pretty deep into the book.For an absolute beginner, something like Jack Reid's "Watercolor Basics: Let's Get Started" or Charles Reid's "Painting Flowers in Watercolor With Charles Reid" could be a better choice.But if you've seen enough of watercolor to know that you want to know a lot more about it, this book is a great resource. I found this book very helpful -- a good introductory book on water color techniques and products.Lots of detail on the different materials and tools used in watercolor (paper type, brushes, paints, misc).The author discusses the uses of each and which products and brands he finds most useful/of the best quality.The author also discusses different techniques (with examples).The book is in color and the step-by-step instruction is useful for beginners or those of us that are a bit rusty.This book will also be useful for people that have never taken an art class as there is background info as well (the color wheel, values, etc.). Easy-to-follow step-by-step instructions take the mystery out of composition, color, light and shadow. this is an excellent product for all skills levels, congratulations and thanks. Wonderful experience.Book was received in excellent condition, just as specified.Great deal, I would definitely order from here again. 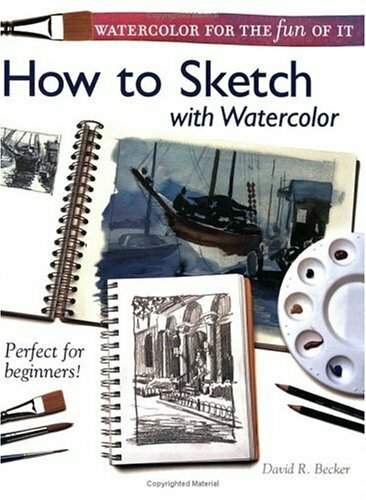 This is an excelent book with many practical instructions and answers to solving problems for watercolor painting. It is a nice book but not great for instruction.Too much having to connect the dots for the reader.Some of the examples are quite beautiful and warrant a second look.Overall, it is a nice book.Very nice layouts. 13. 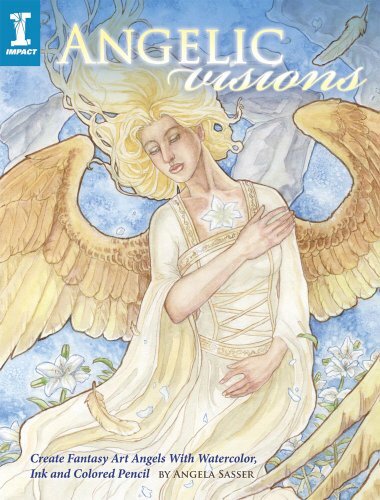 Angelic Visions: Create Fantasy Art Angels With Watercolor, Ink and Colored Pencil. First, you must be able to draw somewhat to do the exercises. This is not a drawing instruction book. It also helps to at least have dabbled in watercolor. If you meet these criteria, this book will be a great deal of fun, and very helpful. I'm thoroughly enjoying the exercises and getting great results. More important, I'm doing them in my own style, while learning what the author is trying to teach. Great combination, hard to find in watercolor textbooks. 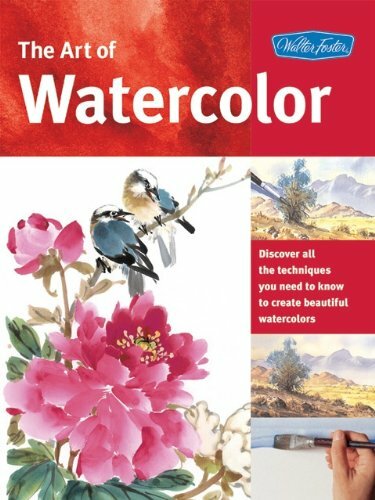 If you want easy step by step watercolour exercises to do, then this is the book for you! It is full of useful information from the introduction to the closing words. The simple instructions which accompany the 27 exercises enable even a novice to create little masterpieces in their own right. The instructions are easy to follow and the illustrations are excellent. 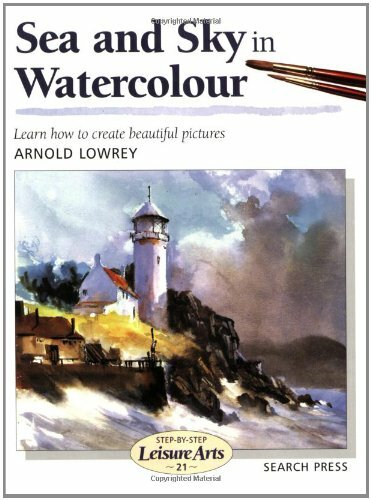 This is the best book of its kind for ease of use and will help anyone achieve success in watercolour painting. Paul Talbot- Greaves are wonderful painter and instructor. The book is easy to understand and full of step-by-step instructions. I recommend this book to every watercolor lover. This is not a step by step, how to book. But, it is the best watercolor book I have, (and I have many). Watercolor from the Heart will show you the true nature of the media.You gain understanding in what can bloom from this media, and how truely beautiful it can be. If I had only one watercolor book, this would be it. I'm new to watercolor.Although this book is not intended for beginners, being about more advanced techniques, I found it inspirational to read.The author shares her ideas about how to approach the creative process, as well as her methods and images of her beautiful paintings.I enjoyed it and found it helpful in thinking about my own painting. 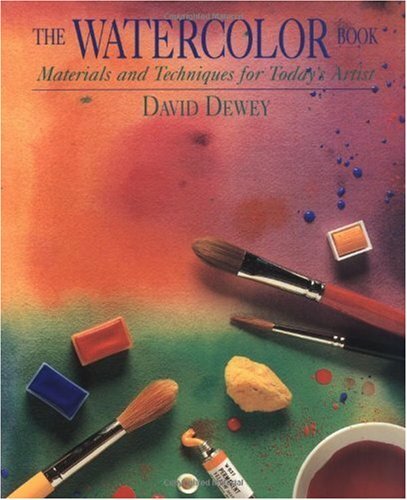 I thoroughly enjoy this book and would recommend this to anyone who likes to paint in watermedia. Barbara Nechis provides an approach to creativity in painting that is both thought provoking and pragmatic--a very difficult combination. I particularly like the humor in her tips about the "don't" myths of watercolor painting. There is also frankness in how she takes advantage of "mistakes" that actually illustrates her approach to creativity. She is generous with the techniques that she shares--I have tried them and they really work! So far what she has proposed as approaches to painting background are the most helpful to me--and other budding artists who are struggling with the balance of painting the subject and the background. 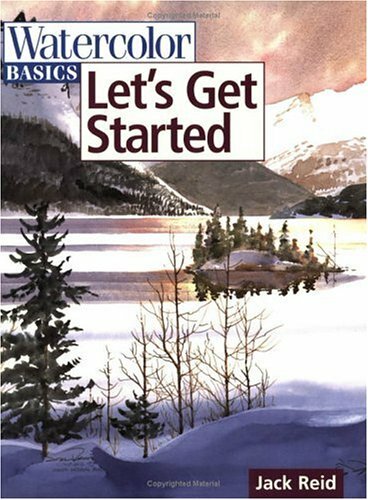 Other books talk about planning the whole painting and working on the background first, Barbara gives you enough approaches and techniques for you to try with some confidence for success. I paid full price from a bookstore--still think it is worth every penny. Buy it. I have read and re-reread this book many times, and each time I learn something new. This book is perfect for beginning watercolorists and artists in othermediums interested in trying something new-particularly decorative painters. It assumesthey have absolutely no prior knowledge of watercolor and proceeds from there. Thebasic questions all beginners ask will be explained and illustrated in simple, step-by-step,fail-proof presentations-questions like:"How wet should my paper be?" "What brush should I use?" "How full of paint should my brush be?" "At what point do I stop and what should my painting look like?" Claudia illustrates not only the terms and techniques associated with watercolor painting,but also shows many examples of common problems beginners have, whey things can gowrong, and how to fix them. She also includes step-by-step exercises to help readers learnand practice each new watercolor technique.Most of all, this book makes learning about watercolor fun by eliminating frustration andgiving beginners a solid foundation on which they can build. 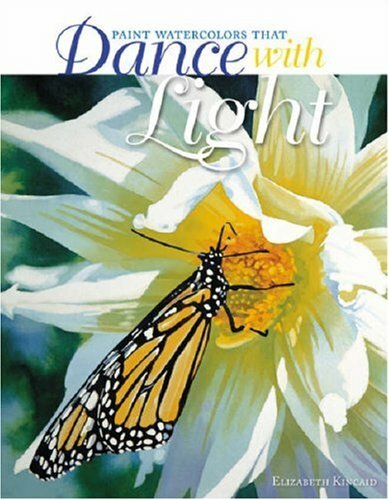 Claudia Nice is a one of a kind watercolorist and her teaching/writing is a wonderful tool for the painter who seeks to improve or expand their technique.Her illustrations are perfect for the one who wishes to paint nature as it truly is. Nice's books continue to be among the top watercolor books in print. The book is well done for a beginner to watercolor.Illustrations very easy to follow.The book was delivered in a timely fashion.No complaints. I love this book!I have almost all of ms. nice's books and think they are the greatest!I look at them over and over and hope somday to draw and paint as well as she does.Her books are beautiful! !also very helpful ! 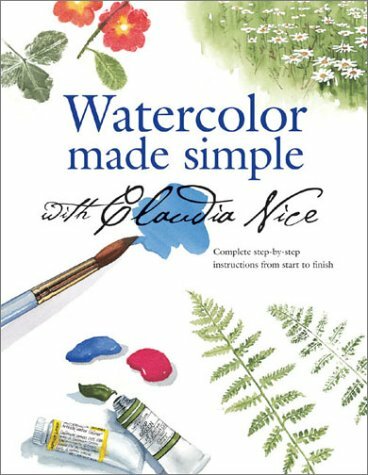 Watercolor Made Simple with Claudia Nice is a wonderful book for learning the bare bones of watercolor.It has valuable information on the watercolor wheel. You can keep this book in your library and have an excellent reference in understanding the quality of watercolor. She offers the simple straight forward discussion. Some people may have wished it was printed in a good clean type face as the introduction rather than in typed script. It is a nice script with flourishes.Some I have talked to are distracted by the type. Otherwise a book to buy and maintain in your library in any form available. I specifically ordered this book to learn how to paint watercolor. This is the best written book that I have ever found for an instruction manual. The examples are clear, materials are specific, and technique is extremely well written. I have never seen a more precise layout for a painting manual. The pictures are traceble so that artists can begin right away with good watercolor methods!! The way this book is formulated, beginners, intermediates, and pros can find informative material to perfect their painting methods. For me personally as an acrylic painter, I have learned valuable information on a new media. This author is not only an artist, but more importantly a WRITER and a TEACHER!She assumes no knowledge on the part of her reader, to make sure that her instructions cannot be misunderstood.It's possibly the most readable art instruction book I've ever owned.I sit and enjoy it like a novel.The descriptions and illustrations are so thoroughly detailed, orderly and accurate, that I feel like I'm there doing it.I haven't even tried any of them yet, but I'm so impressed with the writing of the book, I must commend the author on THAT!Also, the subjects chosen as paintings to demontrate may very possibly be the most appealing examples of beautiful watercolors at their finest that I've ever seen in a book like this.They make me WANT to learn the medium!Unlike other books, where I may buy it, only for one or two pictures in it that I'd like to paint...this book is loaded with pictures that I want to paint ALL OF!I've gone through every page of the book, to check the paint color list of each painting, and have already ordered them, exactly as described and recommended.I can't wait to get my art studio properly lit, and my paper ordered to produce the paintings that are in this book!I can't even pick a favorite! I have been circling around watercolour painting for some time now and had gone so far as to buy some paints, brushes and paper, but was at a complete loss as to how to actually start. This book concentrates on teaching specific watercolour techniques in a step-by-step manner, with very precise and detailed instructions on how to load your brush, how to use it, how to mix each colour, and how to do specific techniques such as laying a wash (best description I've read, by a country mile, and it worked - a perfect wash second time), softening edges, lifting out colour, adjusting your work if it isn't right first time, and so on.She takes the guesswork out by providing a series ofinteresting drawings to copy and step by step instructions on how to paint each, and by specifying exact paints and (cheap but good) brushes, which I bought.The exercises are graded - before I started each one I was sure I would make a total mess, but each time the results were very good (would have been excellent if I'd had the patience to do a quick trial of each technique on a scrap piece of paper before going for it). This is not a fast-and-free approach, but an interesting and fun book which teaches you the basic techniques you will need even if the fast approach suits your personality better.I wholeheartedly recommend it. Not for the beginner.Choices of projects weak. As a young chap, I visited my local Art Gallery here in Bolton (UK) and although I had virtually no interest in art, I found myself mesmerised by the watercolour paintings of Thomas and Paul Sandby (c1700's). Twenty five years later and I still haven't taken a brush to paper - well, not until recently. Browsing through a bookshop a short while ago, I thumbed through scores of watercolour books and made mental note of how simple the paintings seemed to be. Can't be that difficult can it? Seriously though, I'd agree with one of the other reviewers and say that this book is perhaps not the ideal beginner's choice. Having said that, this book does serve to inspire you and that's worth more than any amount of "basics". 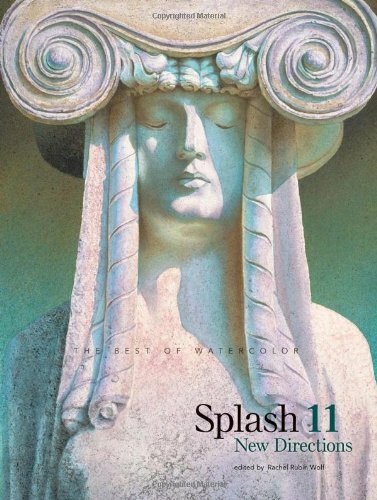 This latest volume, Splash 11, by North Light Books was a let down for me on several levels. The design of the book and presentation of the art had more of a magazine feel about it. I expected a cleaner less encumbered design, so the art would have a high end "gallery" appearance. Using full bleeds of the art and quotes superimposed on the paintings leaves me feeling cheated. Being a painter, I would not be happy to have my work used like an illustration in what is promoted as an "art" book. I also have the sense that the images have be cropped? I can't be sure of this but I think I may be correct. The art would look much better on dull coated stock rather than the glossy paper used here. The weight is fine but a dull coated paper would bring a richness to the layouts. I think the desginer(s) need to think more along the lines of a gallery catalogue rather than a special magazine issue. As for the paintings represented, there are several that I found inspirational and many that are just ok. I've been with this wonderful watercolor series since book one in 1991 (reviewed and uploaded spreads from eight onwards) but I feel this will be the last edition I'll buy.Eleven, confirms for me at least, that the magic has evaporated.What I loved about the early books (certainly up to eight) was turning the pages and coming across paintings that just stopped me turning.You never knew what would be over the next page, the brush techniques and compositions were just so wonderful and imaginative.There really was a 'Wow' factor and Rachel Rubin Wolf knew how to deliver it book after book. I noticed a slight change, though in book nine, the exuberance, sheer fun and delight of so many works was missing in my view and this carried on into book ten.Eleven confirms it having looked through it several times and at the same time comparing it to ealier books. Of course there are some gorgeous watercolors in this book, a few that grabbed me are Nancy Grisby's 'Chop chop' on page fifty-six, a fun still-life with a fresh feel to it; 'Trademark Handshake' by Heidi Parrinello, on page sixty-four, makes glass come alive and on the opposite page Vivian Thierfelder has created a complex still-life composition that I poured over. 'Hannah' by Bev Jozwiak on page 106 captures the essence of that great artist Charles Reid (even down to the signature style).There are other great paintings but not that many and oddly I came across several works that I was surprised to see included.They displayed rather unimaginative brush techniques, color use and bland compositions that seemed definitely out of place. The 126 paintings are presented as previous books: one to a page with useful thoughts from the artists.A couple of annoyances: the overprinting of pull-quotes from the artists and placed on their paintings, this occurs six times throughout the book and really seems unnecessary considering the amount of empty page space; somebody forgot to include the page numbers with the contributors name and address list in the back pages. The Splash series overall has shown me so many stunning watercolors and I'll be looking through them for a long time to come.It's a pity this latestbook just doesn't deliver the passion, for me.If you are new to the Splash books I suggest you check out prices of earlier volumes, I think they are definitely better. ***SEE SOME INSIDE SPREADS by clicking 'customer images' under the cover. Relative to previous issues, it's disappointing.Not as many artists as in the past.